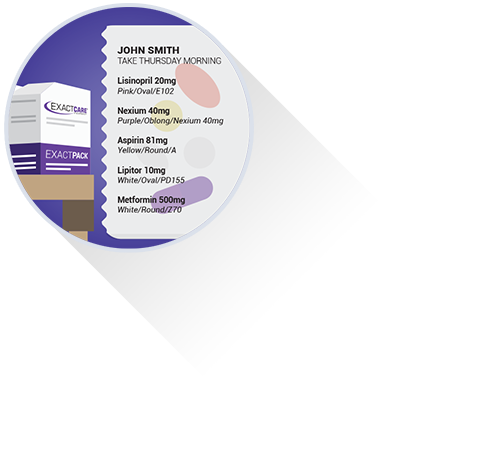 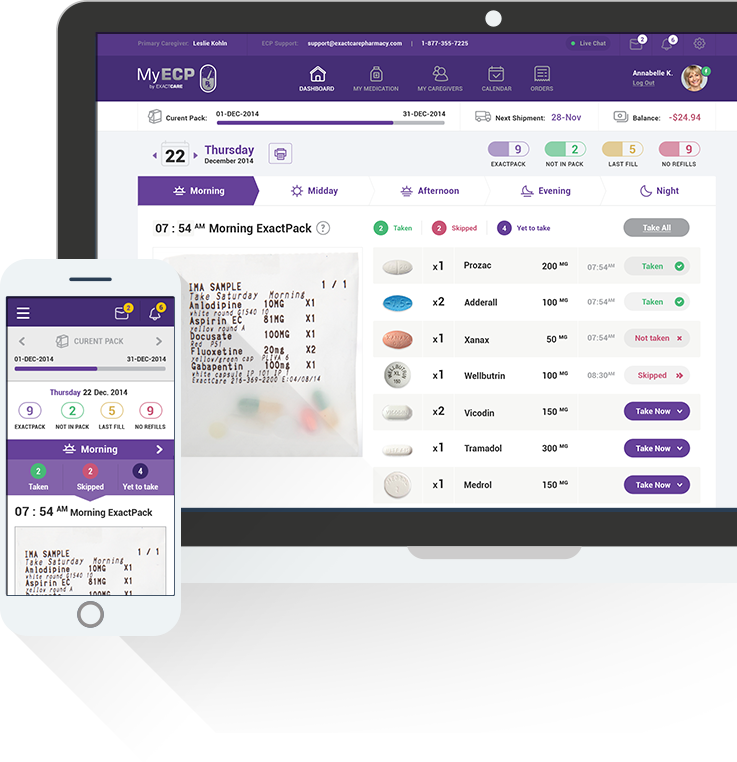 Cubic Agency helped ExactCare Pharmacy create a digital app around their patented product, the ExactPack. 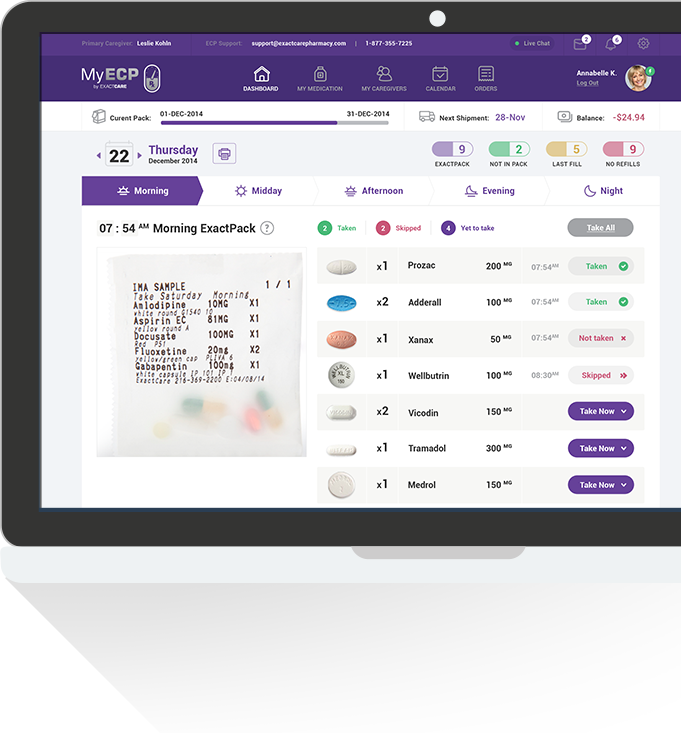 This web, iOS, and Android compatible application allows patients to manage multiple medications, view refill statuses, pay their balance, and add care team members to their profile. 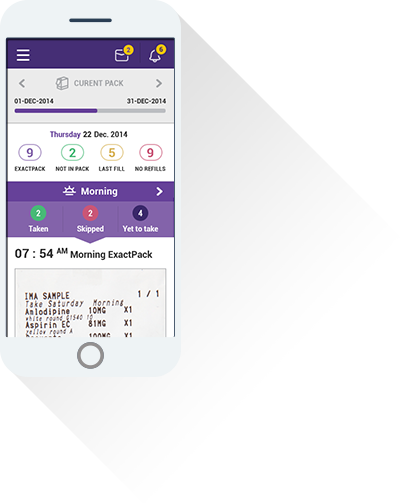 ParkerStore is the retail arm of global industrial manufacturer Parker Hannifin, with over 2,600 locations. 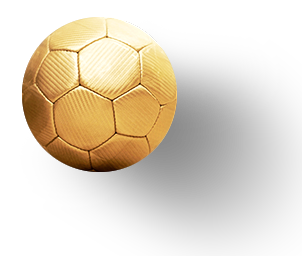 The ParkerStore Challenges were Facebook applications that allows soccer fans all over the world to compete against one another by predicting soccer matches results in the 2014 World Cup and 2015 Champions League. 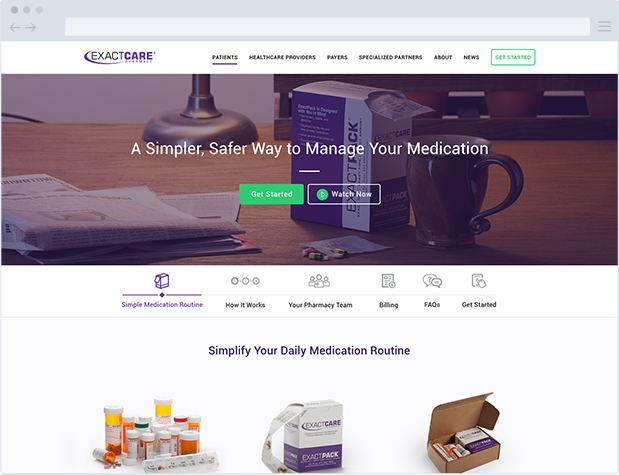 The ExactCarePharmacy.com website needed a refresh so our goal was to develop a user experience that was simple and easy to understand while combing the latest trends in user interface design and technology. 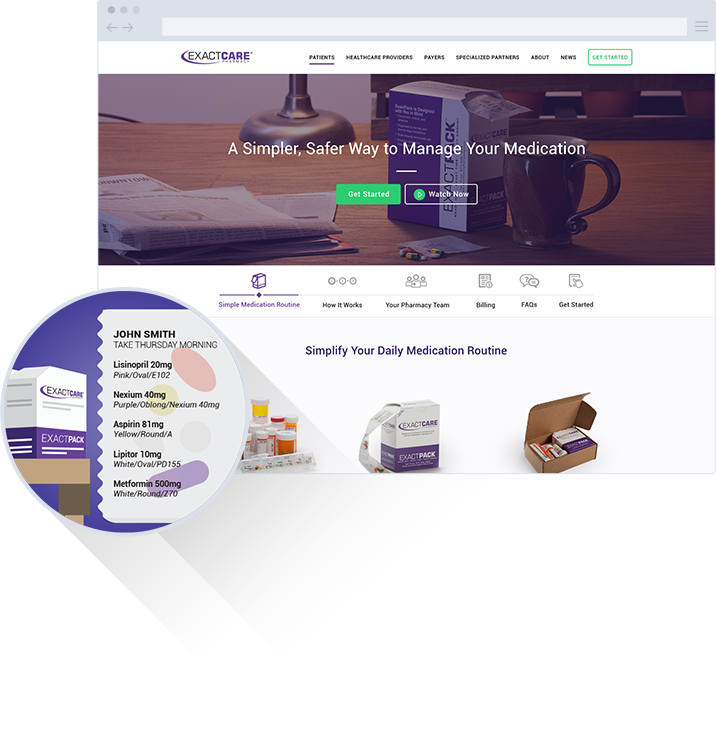 On the back end, the objective was to create a custom WordPress Theme that would allow the client to manage 100% of the content themselves, as well as creating new pages and posts.